Have You Renewed Your PADI Membership for 2019? Maybe you’ve been busy during the past several months and haven’t had the time to renew your PADI Membership for 2019. If you haven’t renewed, please use one of the following methods as soon as possible to maintain your renewed membership status. We appreciate you choosing PADI as your diver training organisation. For the 9th consecutive year, PADI Asia Pacific is pleased to congratulate PADI Members who in 2018 certified more PADI Divers in the Asia Pacific region than any year in PADI’s 53 year history. As a PADI Member, you transform lives through teaching the world’s most popular dive curriculum. In 2018, you opened more hearts and minds than ever before to the beauty of the underwater world and also our obligation to protect it. There are a range of exciting new products, services and benefits in-store for PADI Members in 2019 and we look forward to working with you. Congratulations again to PADI Members in Asia Pacific. PADI Asia Pacific offers support, consultation and resources designed to help you succeed. PADI staff in the field to support you. Non-divers, certified scuba divers and scuba diving leaders seek the PADI brand more than any other. Ask any dive shop owner around the world and they’ll tell you that people don’t always ask to “learn to dive” rather they want to “get their PADI”. 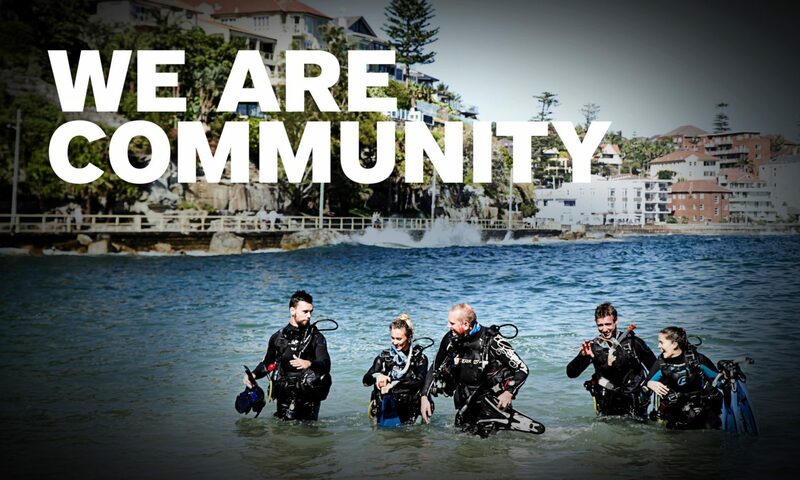 As a PADI Member, you are connected to the most recognised and respected brand in diving. Overwhelmingly, divers choose PADI when they look to get their dive certification. PADI Pros teach the most recognised and popular system of diver education in the world. As the leading diver training organisation, PADI has provided cutting edge teaching tools – best-in-class courses and materials for the past five decades. As we move into the next 50 years, PADI will be the market leader in digital learning, keeping pace with modern teaching methods and today’s consumer needs and demands. PADI eLearning offerings continue to expand with courses in up to 25 languages. As a PADI Professional, you have the most sought after credentials in the dive industry. There are over 6,500 PADI Dive Shops and Resorts around the world who have issued more than 27 million certifications combined. No other training agency comes close. No matter where you teach in the world, as a PADI Professional you will have better employment and career opportunities. PADI Members benefit from having market leading consulting services and resources including: Regional Manager – A dedicated PADI representative for your region. Customer Services – Dedicated specialists providing you with unmatched support. Marketing – Comprehensive resources available to assist your marketing efforts. Legal & Risk Management – The industry’s most experienced legal experts. Quality Management – Experienced experts to ensure superior quality. Training & Sales – Experienced training and product consultants. 7 Day Tech Support – Dedicated technology specialists available 7 days a week. Throughout its deep history, PADI has demonstrated along standing commitment to environmental conservation through its course offerings and alignment with organisations, such as the Project AWARE® Foundation, to protect and preserve our ocean planet. Along with this, PADI is committed to supporting social and environmental efforts through its Pillars of Change, designed to empower divers with information to get involved with causes they care about in tangible ways. Global and localised campaigns are implemented with varying goals but one clear purpose – to grow the diving industry and introduce more divers to you. Along with broader, global campaigns, each PADI Regional Headquarters implements many online and offline campaigns carefully targeted to non-divers or to existing divers who can continue their education. PADI is the only organisation to provide a full-time, in-house risk management staff to assist you in evaluating business practices, teaching techniques and prudent decision-making to enhance the safety and enjoyment of your customers and to help manage the risks associated with running a business, especially a dive business. Whether coaching staff, developing assumption of risk forms or assisting should an incident occur, the risk management team is available. Member forums, seminars, workshops, business academies, webinars and other PADI Member only events will help keep you informed and updated – with both physical and online support. When you renew your 2019 membership, you’ll receive a complimentary 2019 online version of the PADI Digital Instructor Manual in the new year. You also will get a subscription to The Undersea Journal®, including the quarterly training bulletin and Surface Interval emails. Exclusive access to the PADI Pros’ Site and online services including; Online Shopping, PADI Employment Board, Online Processing Center, Pro Chek™ and Dive-Chek®, PADI applications and documents, student counts and pro rating history, marketing resources and materials, training & development resources and more. The above are just some of the many benefits you will receive as a PADI Member. Specific member benefits will depend on your PADI membership rating level to ensure you receive the best and most appropriate support. Contact PADI Customer Service if you have any questions. We appreciate you choosing PADI as your diver training organisation throughout 2018 and the hard work you’ve done maintaining your PADI Professional Membership. 2019 PADI Professional Membership Renewal starts this month and below is an easy way to save the most on your PADI Membership. The best option with the lowest renewal rate is to make sure you are signed up for Automatic Membership Renewal on the PADI Pros’ Site before the 15th November 2018. You can find this feature on the My Account page or by clicking the button located on the homepage. If you are already enrolled, log on and make sure your credit card information including expiry date is still current. You should have received an email if you are currently not signed up or your credit card details have expired. There will also be other options later this year for PADI Professional Membership Renewal including Online Membership Renewal as well as the traditional Paper Membership Renewal however to save time and money consider signing up for Automatic Membership Renewal today. Visit the PADI Pros’ Site to sign up for Automatic Membership Renewal. With more than half the year now behind us, it’s a great time to check your current certifications count to see how you’re tracking. You may be on track to receive a 2018 PADI Elite Instructor Award and you can make plans on how to reach your desired milestone by the end of the year. What is the Elite Instructor Award? The Elite Instructor Award distinguishes PADI Professionals by highlighting their experience as PADI Members and gives a means to promote the elite status to student divers, potential students and prospective employers. Top certifying PADI Instructors will receive the Elite Instructor Award for issuing 50, 100, 150, 200 or more than 300 certifications in 2018. They will also receive an e-badge to include on emails, websites, blogs, and social media pages. Winners will be notified during the first quarter of next year. For more information, including qualifying certifications, visit the PADI Elite Instructor Award page on the PADI Pros’ Site. Make sure you are leveraging this popular continuing education campaign for Quarter 3, 2018. This campaign and accompanying marketing tools will help you to grow the interest in continuing education. PADI Specialty courses offer the perfect opportunity to widen the knowledge of your students, better understand their interests as divers, and make sure they come back to do more courses. You can also tie this in with the free PADI MSD Application available in the Asia Pacific region. Each quarter there will be two PADI Specialty courses. This will provide flexibility to promote both or select the one which best suits your dive shop while still being a focused campaign. PADI Asia Pacific will also be promoting these specialty courses throughout the quarter to consumers. You can also start planning for Q4 which will feature the PADI Digital Underwater Photographer Specialty course and the PADI Wreck Diver Specialty course. To help you promote the PADI Specialty of the Quarter you can download free digital marketing materials in English, Korean, Traditional and Simplified Chinese which includes web banners, headers, and more.